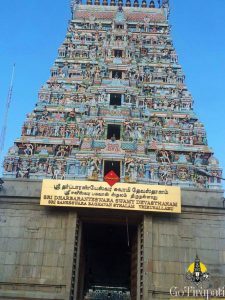 Thirunallar Temple is dedicated to Lord Siva . Lord siva is known as Darbaranyeswarar here and Goddess Paravthi as Bhogamartha Poonmulai amman. One will be relieved from Shani Dasa completely or to some extent by having bath at Brahma Theertham and Praying for Lord siva here in wet clothes. This place was originally called by Darbaranya, as this region was fully covered with Darba grass. Shani Peyarchi festival will be celebrated in a grand as thousands of devotees visit this temple to offer prayers to the deity. As per the Legend, Nala was the ruler of Nishada, he established a vast dynasty and the kingdom prospered under his rule. Nala wants marry Damayanthi, daughter of the King Bhima, ruler of Vidharbha. Nala sent his message to Damayanthi thru swan and they were in love. Meanwhile King Bhima arranged Swayamvaram for her daughter, Damayanthi married Nala during this ceremony. Kali was jealous on Nala as he could not marry Damayanthi and decided to make their life hell. Shani got the opportunity, when Nala did not wash his feet properly while preparing for his prayers, from then on Shani started acting on Nala. Kali entered the mind of Nala’s brother, Pushkara and exhorted him to challenge Nala to the dice game. In the dice game, Nala lost his kingdom and left to forest with his wife. Nala left his wife by leaving a note while she is sleeping. With the help of Swaguhu, Damayanthi reached her father’s place and started living there with her kids. Nala became ugly with the bite from Karkotaka serpent. He then leading life as a cook and charioteer for the King Rituparna. After 12 years of Shani Period, Nala got back his original form by wearing the magical garment and won the lost kingdom in the dice game and started living with his family. Though he is out of Shani period, Nala was disturbed so he started spiritual expedition with his family. During their journey, they met Sage Bardwaja at Virudhachalam. Sage advised him to visit Thirunallar once for peace and happy living. 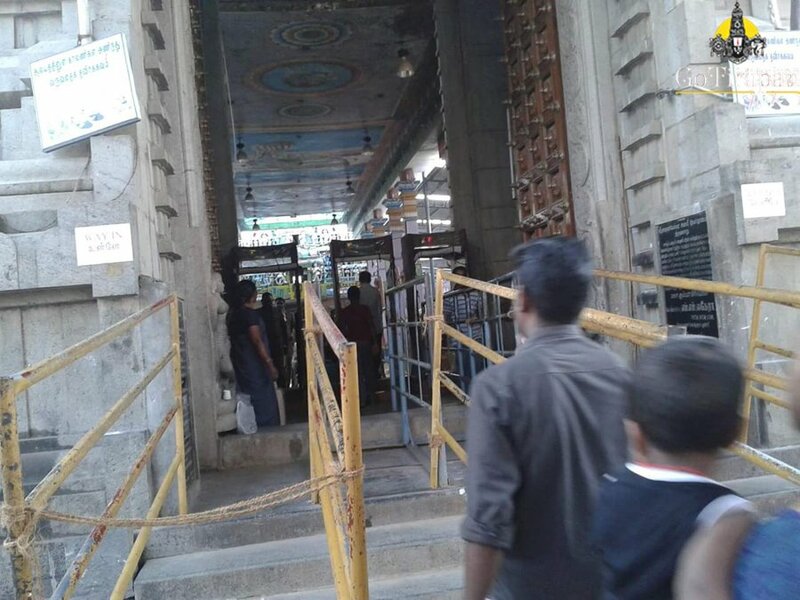 Nala visited Thirunallar with his family and had bath in Brahma Theertham and entered Sanctum Sanctorum of the templ and got relieved completely from Shani effect. 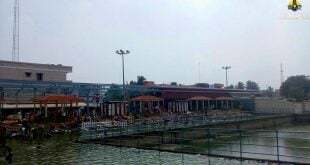 It is said that this is the place, where Lord Siva stopped Saneeswarar from concurring Lord Brahma. 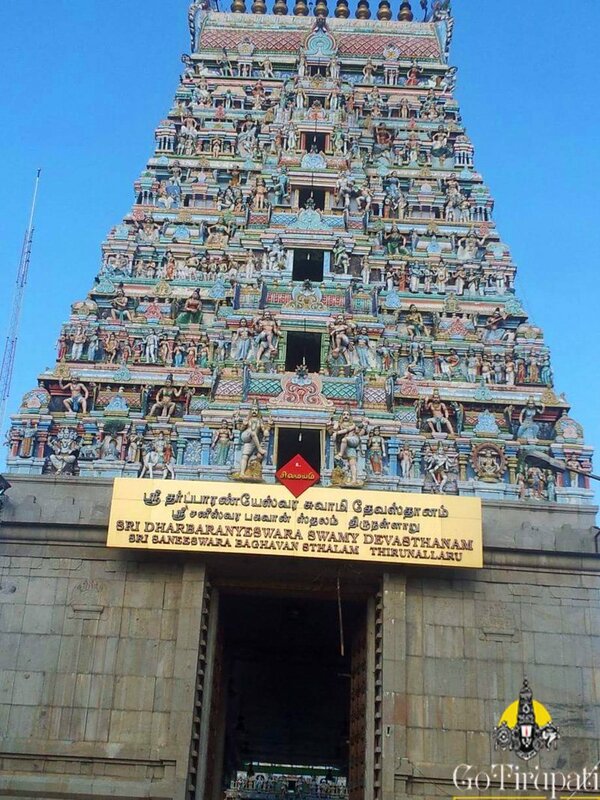 Lord Brahma created Brahma theertham while offering prayers to Lord Siva here. Kumbakonam which is 52 km from the temple. 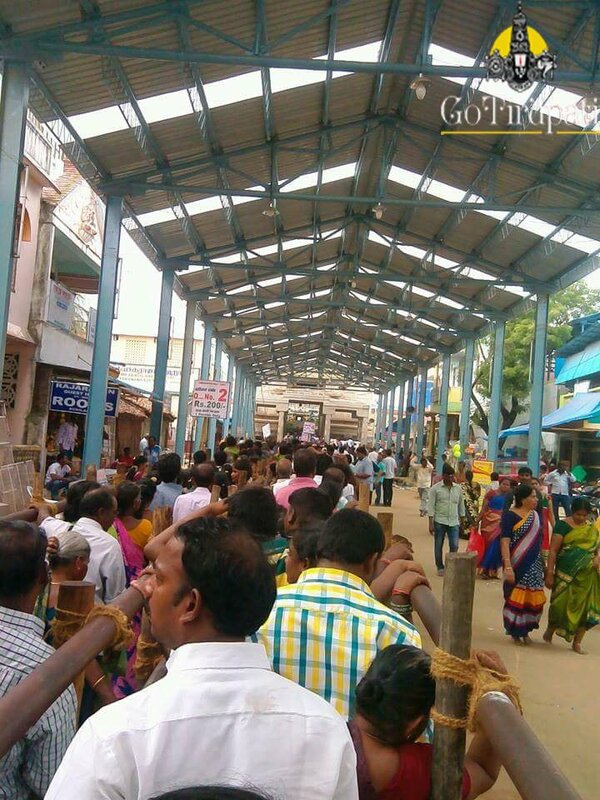 Devotees used to prefer Kumbakonam stay so that they can visit other Navagraha temples. Affects all good relationships, with wife, with friends, with family members. Offering rice mixed with sesame powder will also be benefited from the pooja. Thorough checking will be done at the entrance. 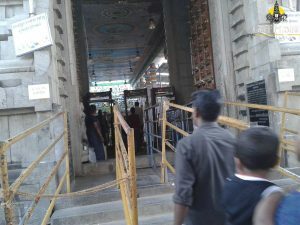 How to reach Thirunallar Temple? 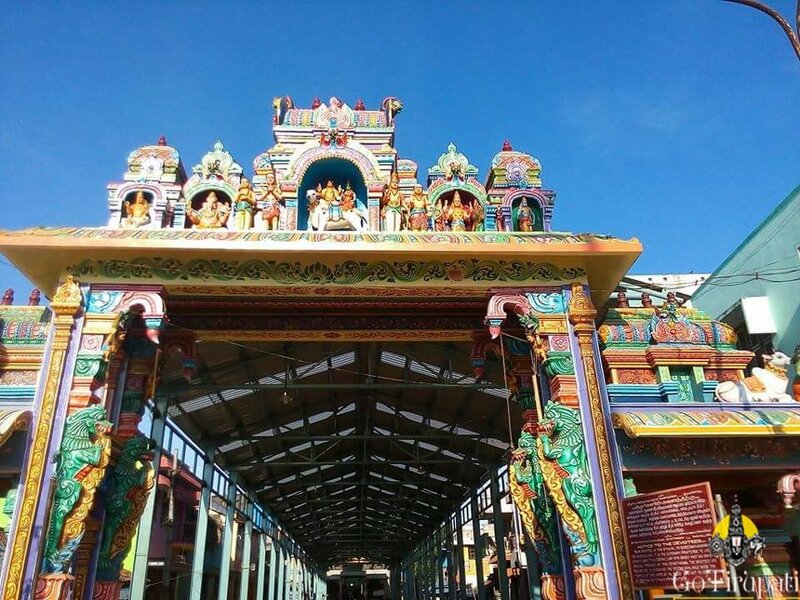 Temple is 59 km from Kumbakonam, 128 km from Pondicherry. Direct bus is available from Chennai to Thirunallar. 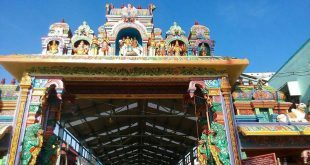 Temple is 7.3 km from Karaikkal and 26 km from Nagapattinam. 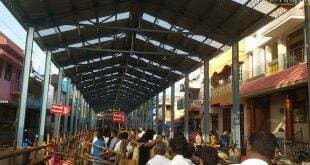 Thirunallar Railway station is located on the Peralam – Karaikkal Railway line. 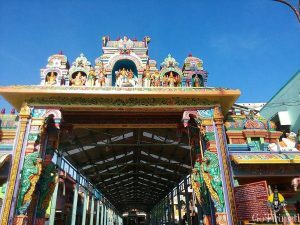 Mayiladuthurai is well connected to all parts of India, which is 32 km away. 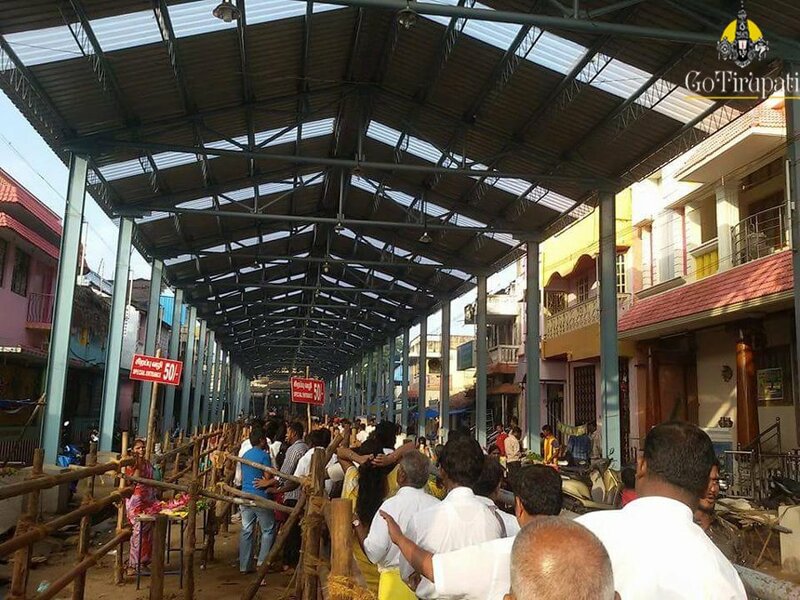 It cost you around 3000 for pooja you need to get the tickets directly on arrival. I would like send yearly subscription for every month STAR pooja and to get prasadam. Please let me know the charges and amount to which account i have to send. You need to check that with the temple counter on arrival. Can u provide me some priest number who can guide and provide Pooja details. You need to contact 9393939150 for priest and the details about the pooja.